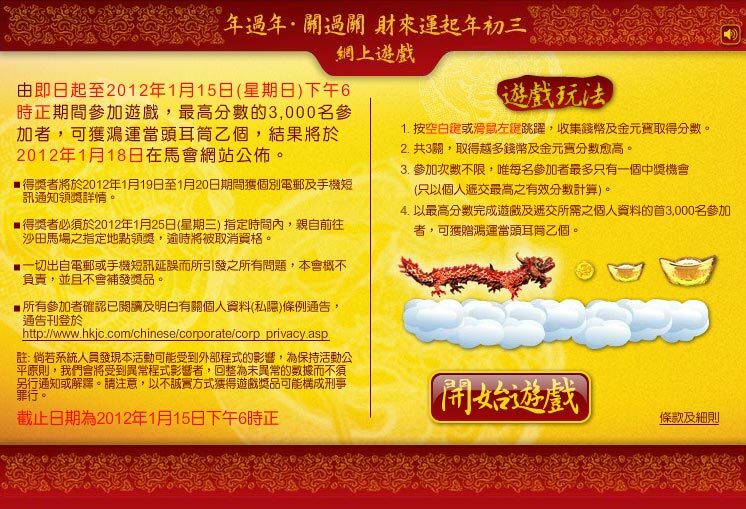 Jockey Club wanted to promote their CNY horse racing via facebook. 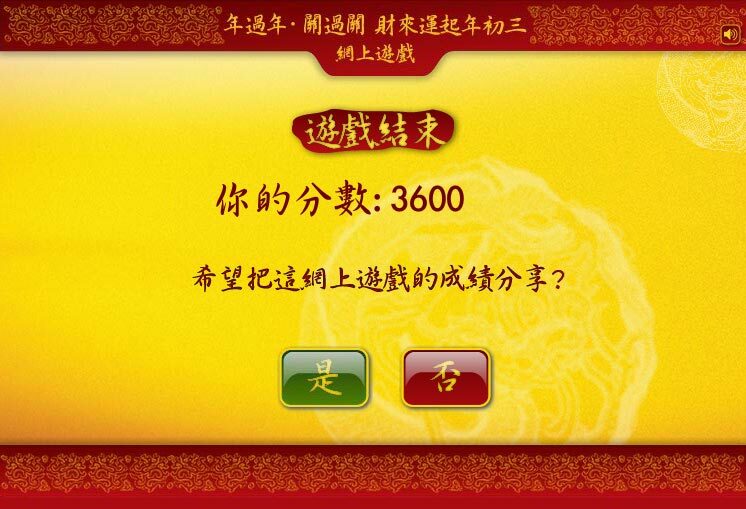 We created a thrilling flash game that is the ultimate test for quick reflex. 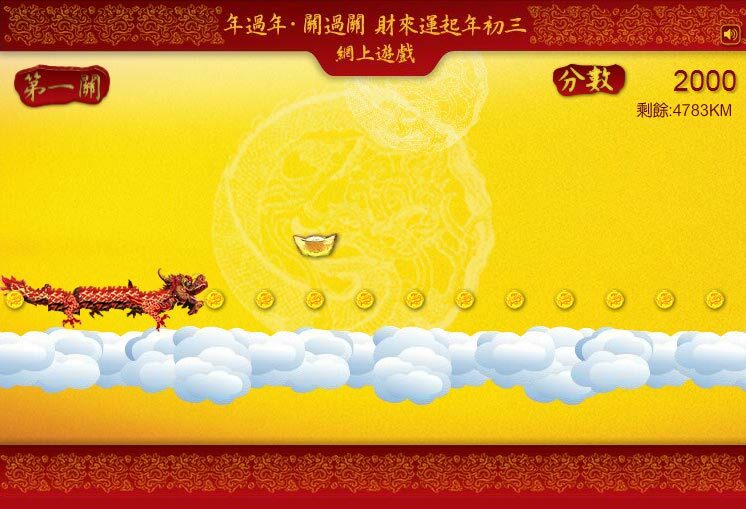 User controls the dragon jumping from cloud to cloud to collect the coins. One needs to jump on time to avoid falling.